Allahabad High Court dismissed a writ petition by Lok Prahri challenging the constitutional validity of the amendments made by Parliament to the Salary, Allowances and Pension of Members of Parliament Act, 1954 and also of the provisions by which Parliament has legislated to provide for pension and for the grant of facilities to former members of Parliament. The Bombay High Court asked the Ministry of Environment and Forests to forthwith demolish Adarsh building which was unauthorisedly constructed by the Adarsh Co-op. Housing Society Ltd in violation to Environmental norms. The Division Bench also called for initiating appropriate civil / criminal proceedings against the concerned bureaucrats, ministers and politicians who are connected to the corruption in relation to the construction. A Division Bench of the High Court on Friday struck down two amendments to the Maharashtra Animal Preservation Act, 1976, while upholding the constitutionality of the rest of the amendments. It declared Section 5D (incriminating possession of flesh of any cow, bull or bullock slaughtered outside the State of Maharashtra) and Section 9B (casting negative burden on the accused) as violative of Article 21 of the Constitution of India. The High Court confirmed Death Penalty awarded to duo who were convicted for kidnapping and murdering an eight year old boy. Division Bench observed that the collective conscience of the Society demands that a message be penetrated that such an abhorrent act would not be tolerated by the Society and the persons indulging in the heinous act must be dealt with sternly. The Court recently observed that it is difficult to get funds from the Government even for basic needs of the Court. In Partur Advocate Bar Association vs State of Mahrashtra, the High Court expressed its dissatisfaction over the Government’s attitude towards Judiciary in the following words. The Delhi High Court on Monday stayed the appointment of the Director General of the Railway Protection Force on a petition moved by the RPF Association against appointment of ‘outsiders’ into the Force by way of deputation. The Central Government has been making appointments to higher posts in the RP Force by way of deputation of IPS officers instead of promoting eligible and competent officers from within the Force. The High Court read down Section 28 (11) of the Customs Act holding that the Customs Department cannot seek to rely upon Section 28(11) of the Act as authorising the officers of the Customs, DRI, the DGCEI etc. to exercise powers in relation to non-levy, short-levy or erroneous refund for a period prior to 8th April 2011 if, in fact, there was no proper assigning of the functions of reassessment or assessment in favour of such officers who issued such SCNs since they were not “proper officers‟ for the purposes of Section 2(34) of the Act. Gujarat High Court quashed the University order cancelling examination of a student saying that it was wholly baseless, arbitrary, malafide, unreasonable, illegal and in stark contradiction to the principles of natural justice. The Court also directed the University to expeditiously evaluate and declare the result of the Petitioner for the examination of “Quantitative Techniques”. While refusing to quash an FIR against a person involved in an Education scam, the High Court of Jammu and Kashmir observed that a nation where without studying, educational degrees would be provided to people, will become nation of block heads, thus, making its future dark. Karnataka High Court issued some important directives with regard to constitution of Medical Board to carry out age determination of Juveniles in conflict with Law. Justice K.N.Phaneendra also asked the state to inform all the Doctors in the State that they shall not individually conduct any age determination examination of any Juvenile in conflict with law referred to them for age determination, unless they are declared as Medical Board. Madras High Court, noticing the practice of filing of draft charges being insisted upon by the trial Courts, observed that, Framing of Charges is essentially a judicial function and the Courts vetting it to Public Prosecutors and defense counsel is not authorised by law. 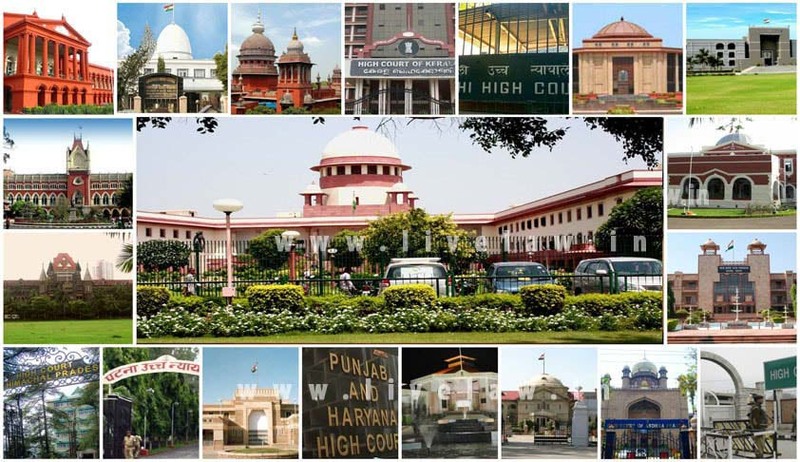 The High Court, observing that compassionate appointment is not a right, but only a concession, held that children below the age of fifteen on the day of death in harness of either of their parents in government service, cannot claim compassionate appointment after attainment of majority and the concerned department is not obligated to keep any post vacant, till the applicant attains majority or to consider his candidature on attaining majority.